1897 Registration of the "Original Swiss Army Knife"
In 1884 the Swiss army company was founded. IN 1891 was the first delivery of soldier knives to the Swiss army. In 1897, was the registration of the original swiss army knife. In 1909 the cross and shield was made the victorinox emblem. Later that year the founders mother Victoria passed away. In 1945 was the world-wide expansion. In 1992 was the first subsidiary founded in a foreign country. In 1993, diversification into watches. In 1999 they made there own watch factory in Bonfol. In 2002 was the acquisition of SABI, the US representative. 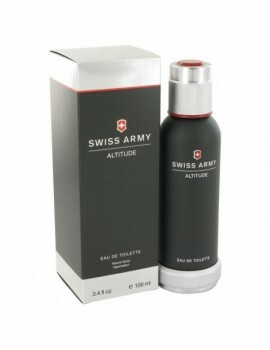 Swiss army altitude is a refreshingly wood, arid aroma for men . A masculine blend of woods, giving it that fresh scent. Swiss army altitude is recommended for daytime wear. 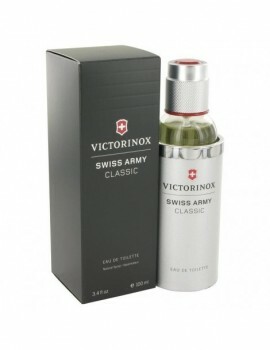 Launched by the design house of swiss army in 1996, swiss army is classified as a refreshing, spicy, lavender, amber fragrance . This masculine scent possesses a blend of fresh and tangy notes of citrus, blended with lavender, sweet spice and woodsy notes. It is recommended for office wear.